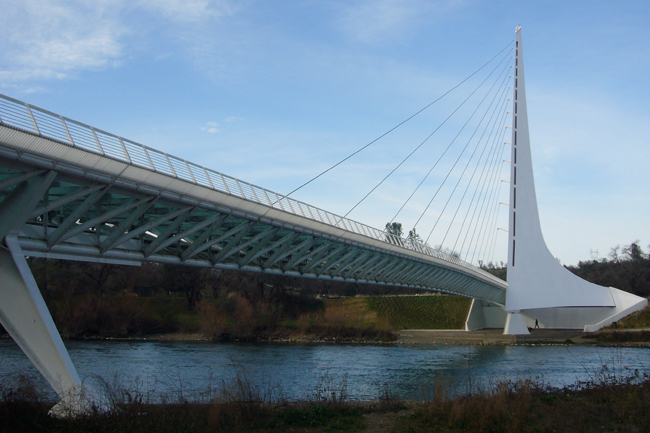 Redding, CA is another town along the I-5 corridor en-route to lake Shasta or Lassen Volcanic Park in Northern California. With its 89,000 residents, there was no real reason to take a detour to this town whilst on your way to either of these natural destinations… till 2004. 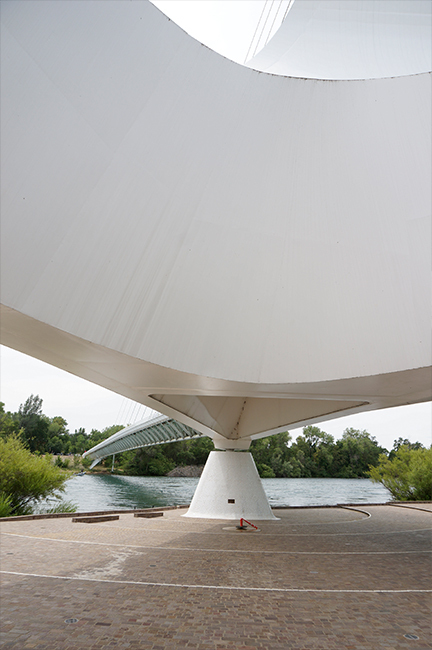 The city with the help of the McConnell Foundation and federal grants, commissioned celebrity architect Santiago Calatrava to build a bridge across the Sacramento river. 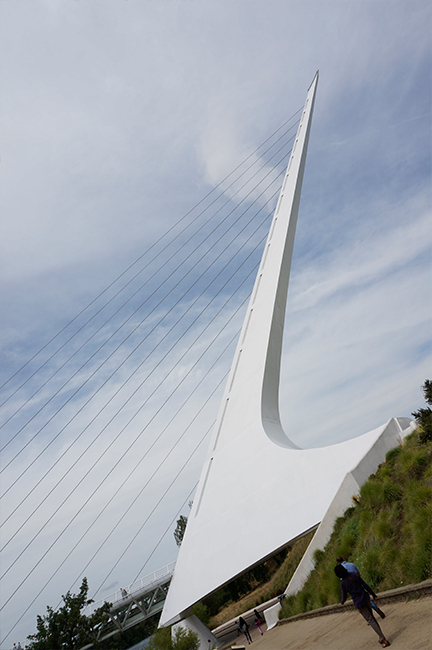 Originally with a budget of 2 million, the stunning Sundial Bridge was completed in 2004 at a cost north of 23 million. 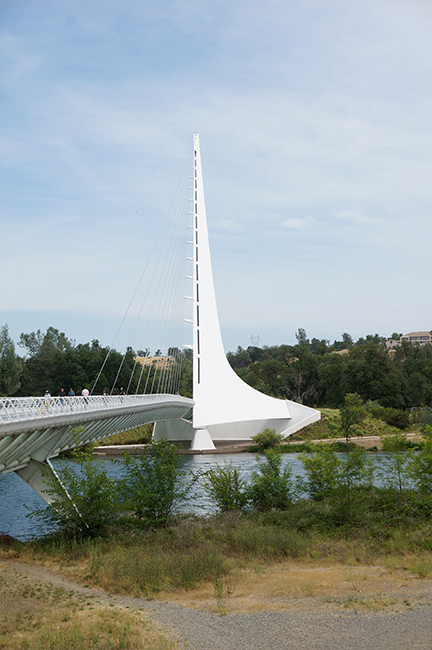 The project became a controversial one within Redding, supported by a small group of doctors, lawyers, and other professionals but opposed by other residents who thought it would be too expensive and who favored a more “folksy” covered bridge design. 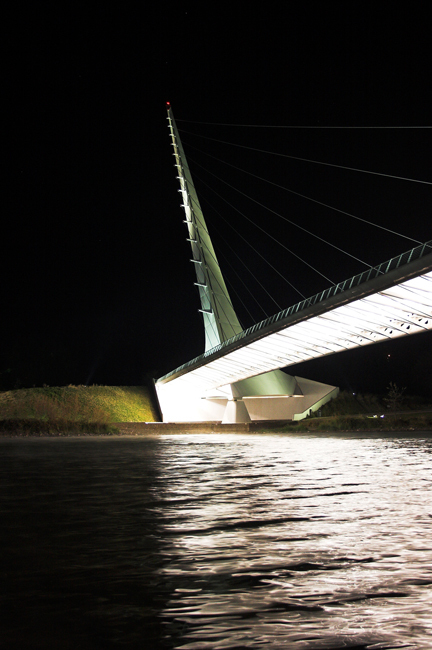 However with the city pitching in less than 20% of the cost, the idea was that it would increase tourism in the redding area. 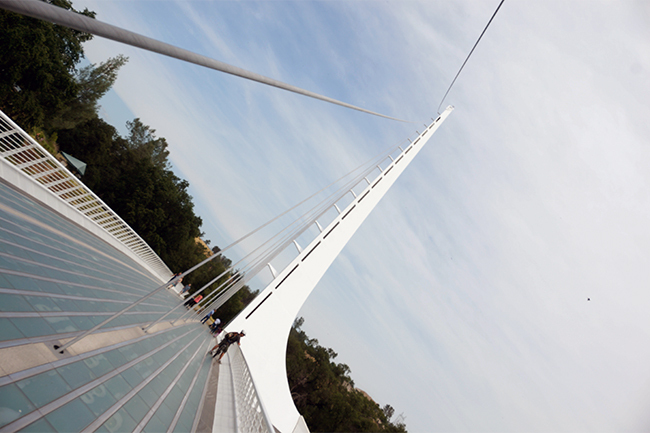 The bridge has not only generated millions in tourism revenue but has helped put Redding on the destination map. Very often we are faced with similar situations where a tried and tested solution seems like the best answer. 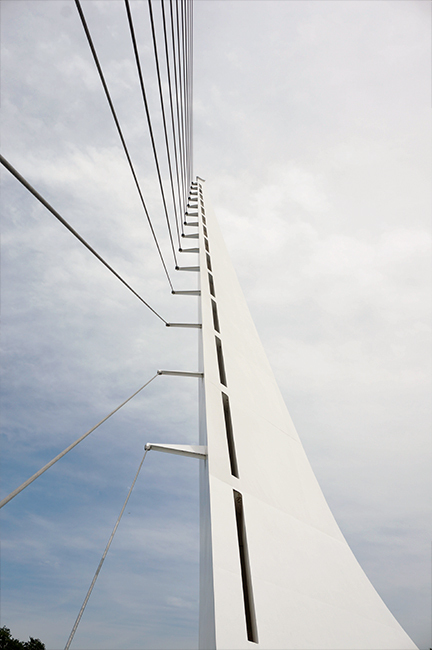 However, looking at the long term impact of a much better designed , higher initial cost solution can sometimes be game changing. It needs courage.